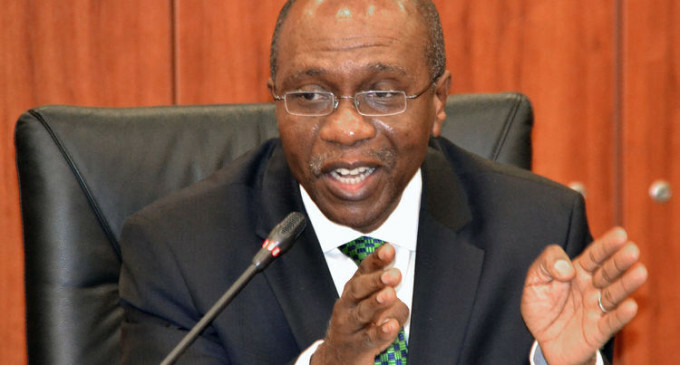 Coming into office at a time when the Nigerian economy faltered and flailed precariously, the sharp fall in global crude oil prices leading to significant revenue shortfall, Godwin Emefiele’s appointment as Governor of the Central Bank of Nigeria in 2014 was greeted with cautious optimism. Yet, he had a great track record; as his last position was as Group Managing Director of Zenith Bank. But the CBN was a bigger kettle of fish. How would he meander the landmines that had pushed the Nigerian economy to the precipice? He did admit at the outset of his appointment that the effect of the global shock on the economy was massive. “By August 2014, the crude commodity price was about $110 to a barrel and our reserve was about $37billion, dropping to 36. So, by the time the government (of President Muhammadu Buhari) came in May 2015, reserve had come down to 29,” he said. Emefiele admitted that the drop in crude prices had impacted adversely on Nigeria’s reserves. Also, geo-political tensions between Russia and Ukraine; and between Saudi Arabia and Iran, had had effects on the flow of capital between the emerging and developed economies. Emefiele also came into office on the heels of the controversial ouster of his predecessor, MallamSanusi Lamido Sanusi. Crucially, it was also in the months leading up to the 2015 elections. In the midst of the prevailing uncertainty, he trudged on with a bullish devotion to build a resilient financial system that can serve the growth and development needs of the country. He and his team came up with different measures to check inflation, stabilize the Naira and put the economy on a right footing. The CBN was prompted to take drastic action by introducing the multiple forex system after some initial trials. The system created the Inter-bank/Wholesale, Invisible, Small & Medium Enterprise (SME) and the Investors/Exporters’ windows. The Bureau De Change and Parallel market segments also existed in the new forex regime, which brought great stability to the forex market, leading to remarkable acreage in foreign reserves (about $47.3 billion in April, 2018) and rise in capital inflow – $12.2 billion in 2017, representing an increase of $7.104 billion, compared with the figure recorded in 2016. Indeed, his retention as CBN Governor was a testament to the fact that he was doing something right and the president could see through the ballyhoo of dissenting voices. Earlier in 2016, the opening of the Investors & Exporters’ Forex Window was particularly exciting to foreign investors who took full advantage of it. In a period of six months, the window attracted about $10 billion in inflows into Nigeria. As a result of his prudent management of the forex regime, albeit in an unprecedented fashion, Nigeria’s foreign reserves increased from 26.7 billion dollars in January 2017 to 40.4 billion dollars in January 2018. The monthly import bill came down drastically from about 5 billion dollars in 2015 to 1.5 billion dollars in 2017. This was achieved without compromising growth in GDPs as depicted in the growth in agriculture and other non-oil sector. With a commitment to his philosophy of ‘Produce, Add Value and Export’ (PAVE), Emefiele also encouraged the diversification of the economy by stimulating growth in the agriculture sector in line with President Buhari’s plan. Thus, the innovative agric credit plan, Anchor Borrowers’ Programme, was put in place and it has transformed the agric sector significantly. “Before we introduced the ABP, farmers go to farm rice and all the yield they were getting was one to 1.5 metric tonnes per hectare. But today farmers are getting yield as high as eight metric tonnes per hectare, reducing their costs and making it possible to make their money in rice cultivation,” he said. The efforts of Emefiele’s CBN have not gone unnoticed. He has received several awards at home and abroad notably the “Best of Africa Achievement Award” given to him by Forbes in Washington DC, United States of America. Forbes Emerging Markets honours a person whose achievements fall within the mission of the organization, which is to promote further investment in Africa by United States investors. The only other Nigerian who had received the award is Aliko Dangote.